It was a great question, and as I think about the answer I gave, I don’t think I gave as complete of an answer as I should have. I’d like to fix that. If this is a safety issue, don’t worry about what you sound like. Your job is to make sure your employees and guests are safe. Correct and/or guide as much as you need to. If your employees are violating standards of conduct (i.e. having their cell phone when they shouldn’t, not adhering to grooming guidelines, etc. ), then again you need to be relentless with enforcing your standards. I think it’s also important to ask ourselves some questions, starting with WHY isn’t this employee adhering to the policy in the first place? Similarly, we have to ask; WHY don’t they correct their behavior when we tell them? If they are not understanding the concept or haven’t bought into it, we may need to look at how we are communicating the information. If others aren’t doing it or there is no consequence for not doing it, that comes down to holding people accountable – showing them that things will change if they continue on the current path (and it’s very possible they won’t like the change!). There. That’s better. That’s a more complete answer to the question. So then what? 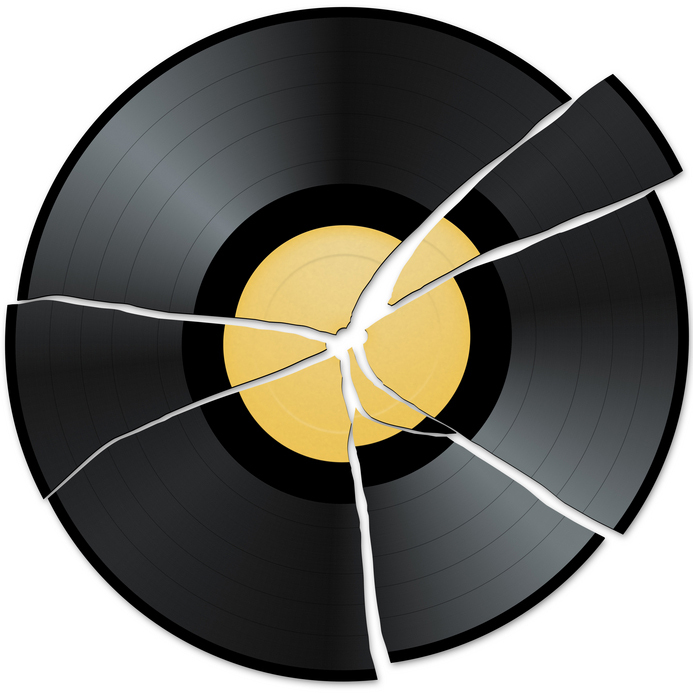 If you feel like you are starting to sound like a broken record, look at how that record got broken. It could be a lazy employee, but more likely it comes down to our communication and our ability to hold people accountable to our standards. We could be the problem, but that also means we are the solution. About the author: Matt loves helping leaders find out what they can do to improve their own performance or the performance of their teams. He offers free consultation to see what direction to take, or to find out why you might be feeling like a broken record! Contact him here to schedule a free 30 minute call. Some of you may have seen an incomplete post that was activated too soon. My apologies. Full post is below. I know I’ve said it many times in the past, but I’m starting to rethink it. Deep down, does that attitude make us actually care less about our guests? Take this out of the service environment, don’t you generally care when another human being is suffering in some way? What makes the service context so different? Aren’t we just humans helping humans? Does this mindset breed animosity instead of motivate people to smile no matter what? Along with “the customer is always right”, I am starting to believe it might be time to retire this type of thinking. By essentially saying, “smile no matter what”, we are encouraging people to be fake. Have you ever seen someone smile who didn’t mean it? Sure you have, and it’s not pretty. For those who have been reading this blog for a while, you hopefully know that by saying all this I am not suggesting that we allow sour-puss faces on our employees. Nay, nay. What I AM saying is that we may have to look differently at what it takes to make our employees smile. All that takes MUCH longer to master than a blind adherence to: leave your problems at the door. As a leader, you give up your right to have a bad day. But that’s not fair! An employee gets to have a bad day but a leader doesn’t? Yes. By taking a leadership role, you agree to give up certain things and you agree to take on certain things. You agree to be a role model, a teacher, a guide, a coach, and a listener. You give up your old peer group for a new one. You take on the responsibility for the productivity of your area to support the company goals. You are now responsible for the solutions. And yes, you give up the right to have a bad day. Remember that a leader goes first. A leader sets the tone. A leader is the one that other people are watching. THAT’S why things are different for you. And that’s why you need to care about your employees so they will care about the guests – no matter what we think they may be thinking about us. Detailed analysis of mystery shopping reports! Find out more here! Slow or fast to hire? Fast or slow to fire? No, no, no, no, no, no!